With more and more families being a double income household, they are stressed, tired and trying to find ways of spending quality time with their children, friends, partners and hobbies. 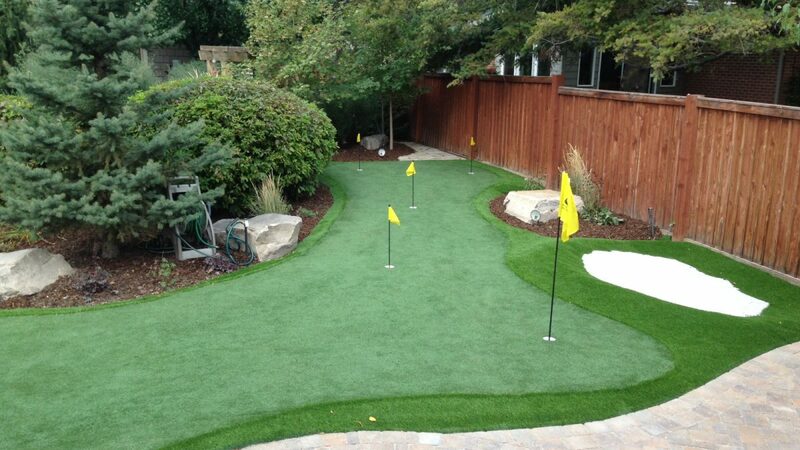 Many families are turning their backyards into fun-filled playgrounds by adding amenities like game courts, other outdoor areas and putting greens. 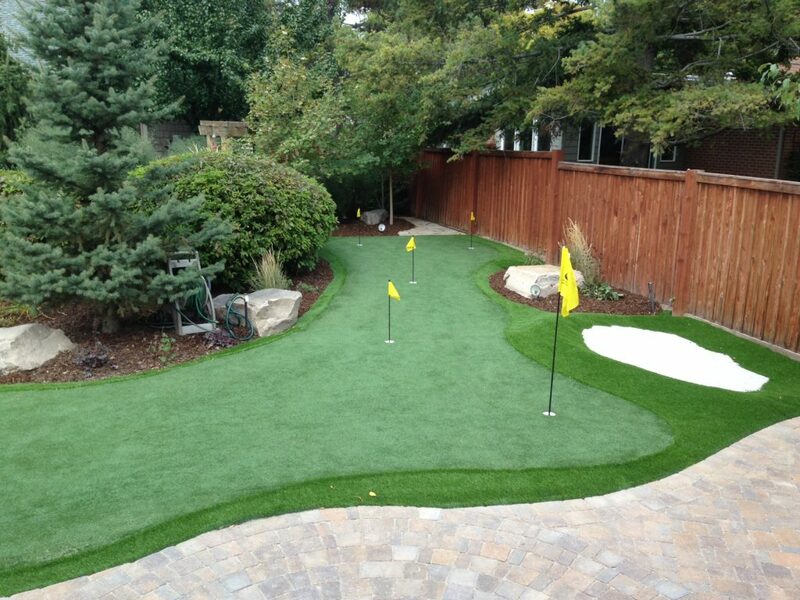 For the golf enthusiast in the home, a well-designed synthetic putting green is the way to go. To withstand extreme weather conditions. Provide endless entertainment for family and friends. Provide more convenience for that avid golfer. Provide a savings on your utilities, lawn and pesticide maintenance as well as private lessons or green fees at the golf course. Reduces pollens and allergens for pets and family. Reduces bugs, fleas, ticks, or ants because they can’t nest, breed or feed. Increase quality time with family and creating lifelong memories. 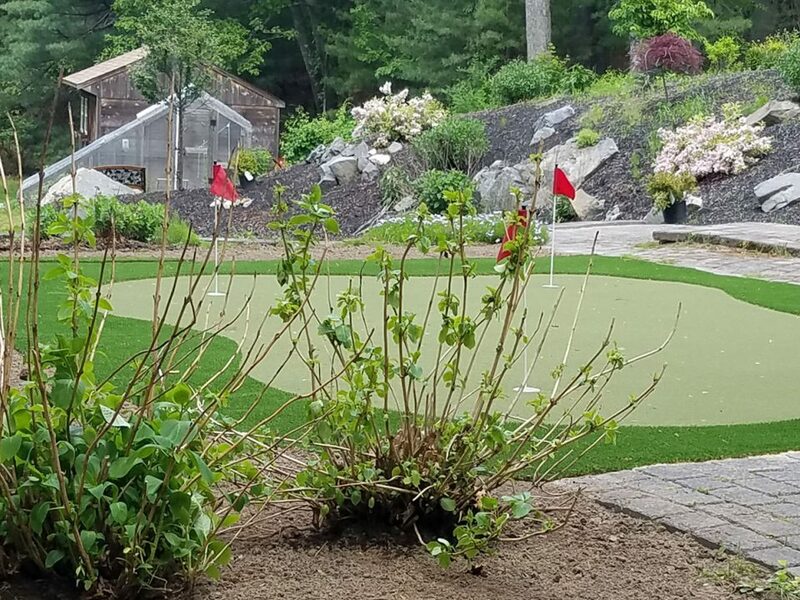 From design to final installation, Mark’s Landscape will ensure your project gets completed on time, on budget and to your satisfaction. Call our office at (978) 897-6026 for a free consultation today.